This box of Incense Sticks or agarbattis from Cycle contains a mix of sticks with three different fragrances. It may range from sweet and fruity to earthy. With this pack, discover a new fragrance to fill your room each day! The three scents include: - Serene (Lily) – Containing the soothing, subtle and floral fragrance of fresh lilies that have a calming influence - Yugantar (Fancy) - A sweet, fruity, rejuvenating scent - Jagrane (Intimate) – A soft aroma with green and coniferous undertones for a cozy, pleasant ambience Cycle’s 3-in-1 incense sticks are not only perfect for ceremonies and poojas, but can be used every day to create a restful, pleasant atmosphere in the house. 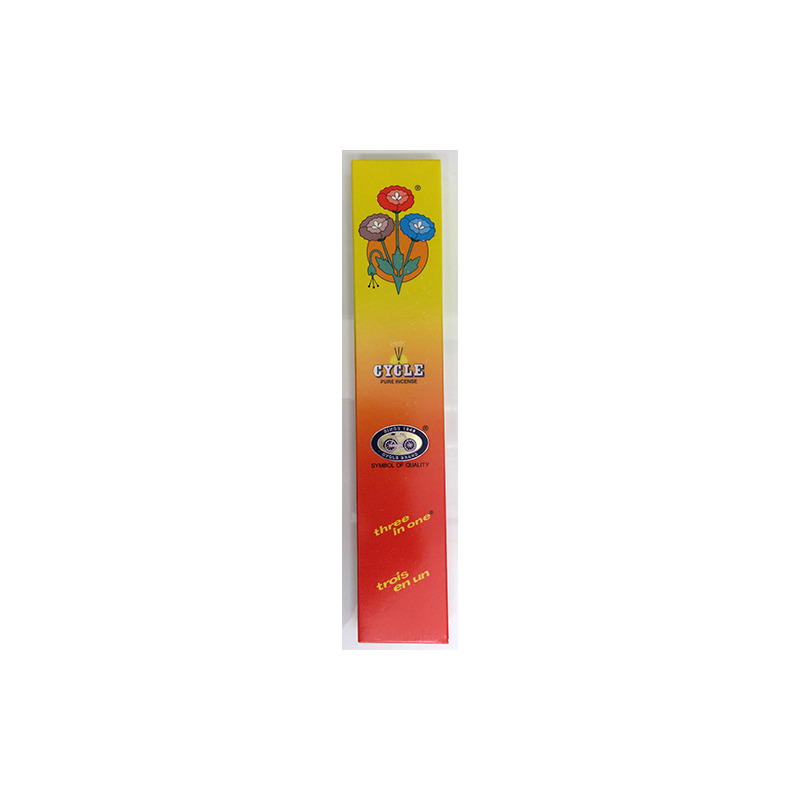 This box of Incense Sticks or agarbattis from Cycle contains a mix of sticks with three different fragrances. It may range from sweet and fruity to earthy. With this pack, discover a new fragrance to fill your room each day! 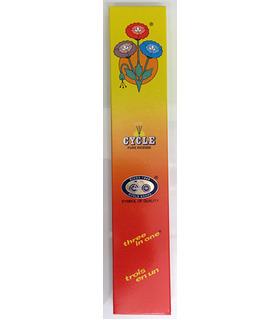 Cycle’s 3-in-1 incense sticks are not only perfect for ceremonies and poojas, but can be used every day to create a restful, pleasant atmosphere in the house.